Hardcover with dust jacket, 5.25 x 7.75, 254 pages. 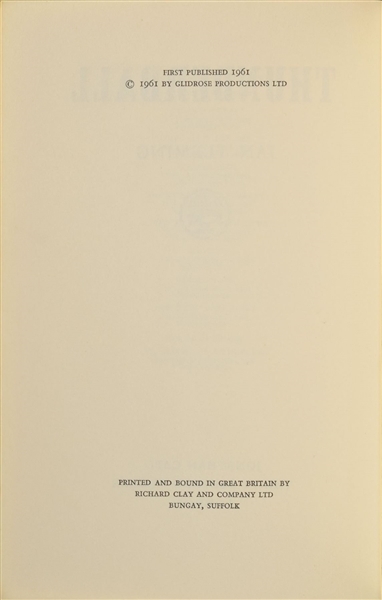 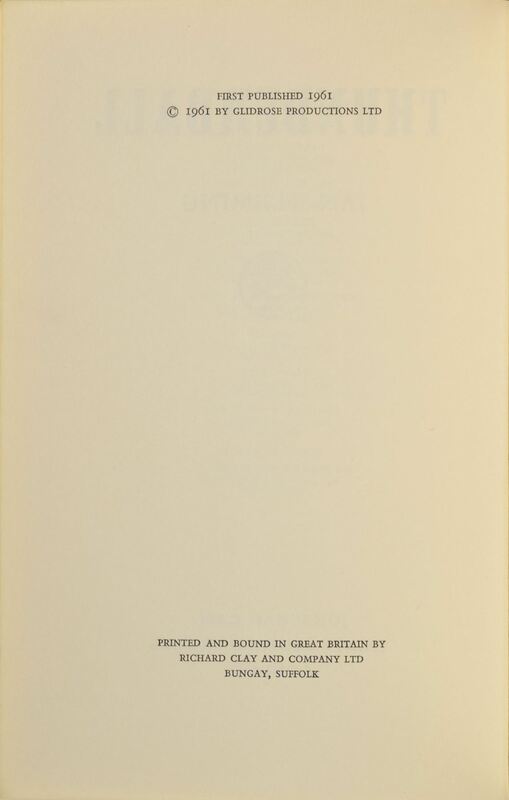 Book condition: VG+/VG. 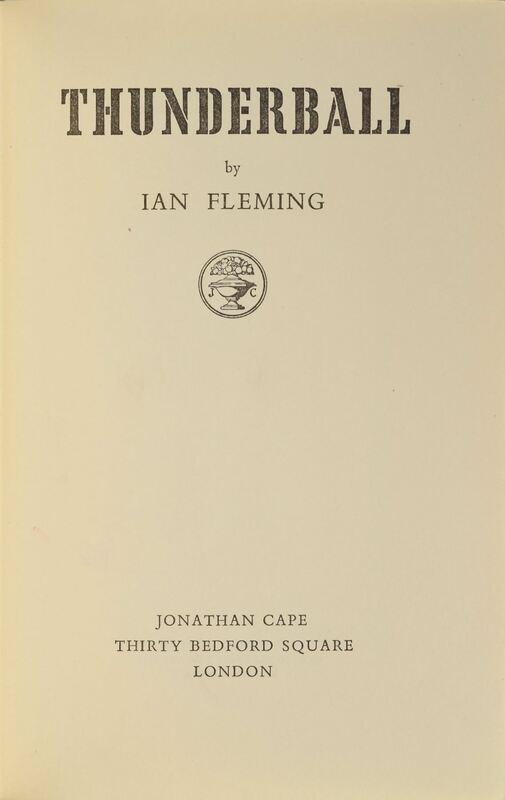 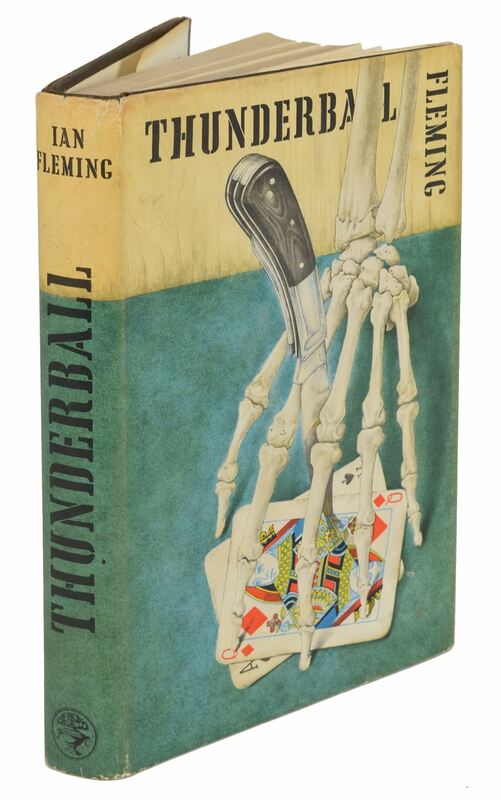 The eighth James Bond novel, Thunderball centers on the theft of two atomic bombs by the SPECTRE crime syndicate and Bond's efforts to recover them.